Yes! Okay let’s start. November 19 2016, Chris Martin Announce “ The Ahead full of dreams Asia tour 2017” This is the happiest news that I heard in my life. But anyways before that I'm a huge fan of Coldplay since when I was a college because of their song title Fix you. When I heard that song as far as I know the original singer of fix you is Secondhand Serenade opps sorry! I got mistaken for that. I search it on YouTube that the original singer is the Coldplay OMMEMMMGIIIEEE… 😍😍😍😍 Then after that the song title The Scientist ,Yellow & many more I really love it so much. Moving on. When the band announce their Asian tour I didn’t know early because I have a work that time so my workmate they telling me that Coldplay have a concert next year and then they ask me if I want to watch their concert because they all know that I am a super fan of Coldplay “ Kabigla diba? Di ko inexpect yon! And I said yes I do! I really love Coldplay I will watch their concert no matter what happen because this is now or never!! How to get Ticket Options. November 20 2016 - Ticket reservation using Globe communications.According to the seat plan section You need to text it to get the code and then proceed to the Sm ticket to get the ticket on the November 24th but unfortunately I'm too busy I have a lot's of task that I need to do urgent. Bronze and Gen add are my options to buy because some of the seat plan are too expensive Kaiyak bess! and then that time SM tickets has technical issue so most of people cannot buy their tickets too. So hindi lang ako mag –isa marami kame ganern! There’s a scalper selling their Gen add ticket cost of Php 3500 Imagine the original price of gen add is only Php 1,800 HAHAAHA Times two the original price LOL! and actually the Php 3,500 is the price for bronze ticket HAHAHHAHA! Imagine? Triggered no? But I don’t have a choice! As I told you guys this is now or never! So I buy the ticket because Php 3,500 is my afford budget for buy the ticket so I’ll take it. I have a ticket already but I’m going concert alone. I don’t have any friends to go concerts so I wonder that I visit the Coldplay page group. Month of December I meet Clang the founder and organizer of team gen ADD then after that I meet JHU ETHEL TONENG JANDER KATH MAI EYRON DUSTIN and many more. They create messenger group to those people who going concerts alone. The group created for bonding and make a friendship so if I go to concert I have many concert buddies. Then the group became longer so I meet a lot of friends of #TeamGA actually there are really nice. They not allow you to feel out of place in making conversation. As I already mention. We all know when you heard Coldplay songs. It can make you wonderful and inspiring. The motivation is there and the sickness of love and everything has included. That’s the reason why I love Coldplay so much. Plus the concept of their concert has full of magical and colors I love it. I have some of their lyrics that I love.. This is it “Pansit” This is real! I feel the excitement! I leave my hometown at 7:30 am going to Manila. Imagine I’m not really excited I'm going to concert early. HAHAAHA 😂😂😂😂 early bird is a must! actually the concert start at 9:00 pm and my arrival at SM Mall of Asia at 10:00 am HAHAHHAA ! Actually we have a teamGA bonding before concert so that’s the reason why I go early. I met MAI and JHU at 10:00 am and then the rest after lunch. A Head full of Dreams This is it! Viva La Vida By Team GA! During their concert when already play Fix you and Everglow I lay my tears down. As a fan girl this is my first time that I watch concerts and Coldplay is my most favorite band ever! I feel the way that we breathe in the same air. I enjoy every moment and I see the sky full of stars. I feel the pursuit of happiness. This is one of my Dream.
" This Things are so Very Memorable, I will Keep This for Memory Until I Die , I love Coldplay Because They can Motivate Their songs & I really Love and Appreciate it! This Items will be my remembrance , And i Will Keep this as Long as i Can Until Forever." Also love Coldplay. Glad you had fun with new found friends. I've never been to any concert. Lucky you! 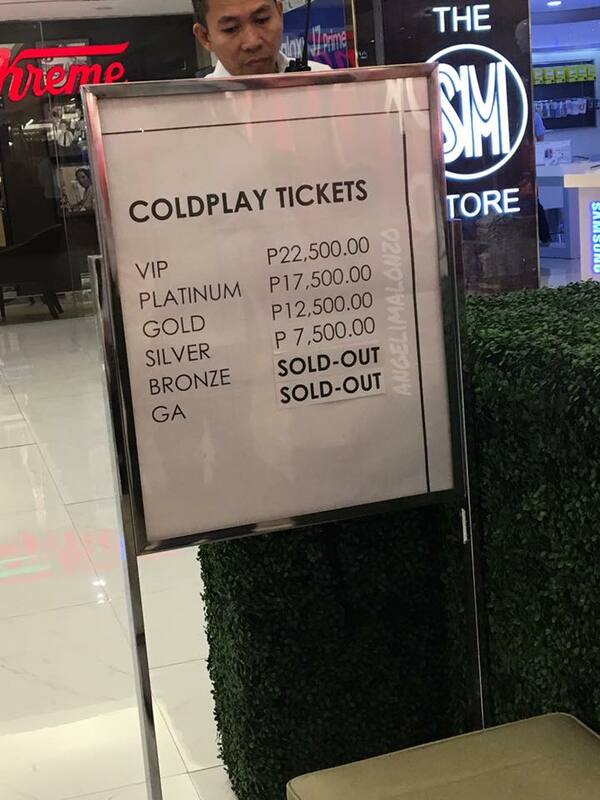 Concerts sounds great!You're so lucky to have watched Coldplay's concert. I wish I could also watch my fave bands live. I only been to two concerts before, this looks like a lot of fun! Lucky u girl. I love coldplay but I didn't get a chance to be in their concert. OMG. I love coldplay too. Especially their song Paradise... If they visit Toronto, I will for sure get concert tickets. Lucky You! Looks like you had lots of fun! Good stuff! I am so excited for you. I can actually feel your excitement in this post. It reminded me of the last concert I went to and was so excited about it for weeks prior. I have never been in any concert but it sounds really excited. 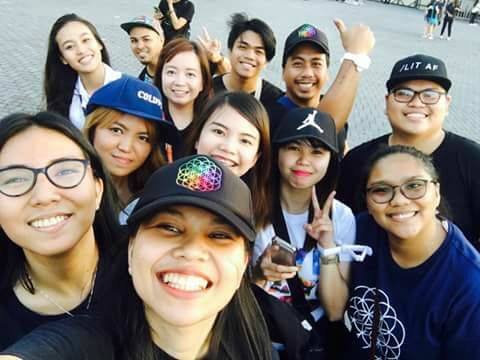 I can see the excitement through your eyes and I am so glad that you were able to fulfill your dream that is to watch the cold play concert. That is pretty cool that you would find other concert buddies to go with. I didn't know they did that. This is so exciting! I am delighted that you got to go to concert and see your fave band. It sounds like a wonderful time and so glad to see the pictures you took. I haven't listened to coldplay for a long time. They have a very unique sound, calming with unexpected bursts of energy, don't they? 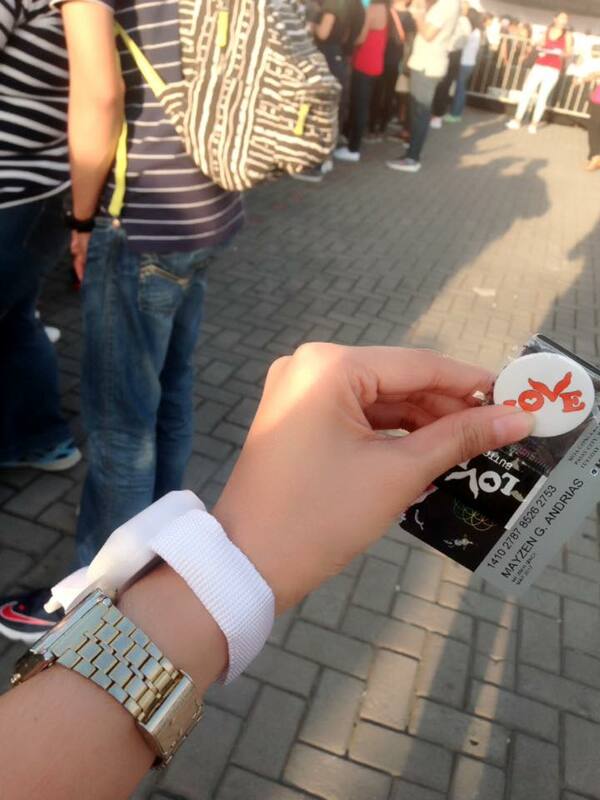 Going to the concert event is one of the best thing we do in our life. Enjoy each and every moment of your life. I love going to concerts! When I was in middle school, and boy bands were popular, I went to my first concert which was Backstreet Boys and it was amazing! It's so cool to get to hear your favorite performers sing live, even if you have to pay higher price for the tickets. Lucky you Girl! I never seen Coldplay live! I used to really like Coldplay, although I never got the chance to see the live. They have an array of great songs and they played no shortage of shows in Los Angeles -- tickets to shows are just so incredibly expensive. What's your next concert?! So jealous! I'd love to see Coldplay in concert one day! I was fortunate enough to see Coldplay front row at a festival when they were just starting out. I believe the only song they had on the radio at the time was Yellow. They were really great live so I know you had a great concert! Coldplay is one of my favorite bands! So interesting to hear how everyone's concert experience can be so different. you are so lucky, their tickets are so hard to get! Sounds like you had the best time of your life! I watched Coldplay in Toronto a few years ago and it was unreal. I love Chris Martin! Congrats on your first post. I havent seen Coldplay in concert yet. 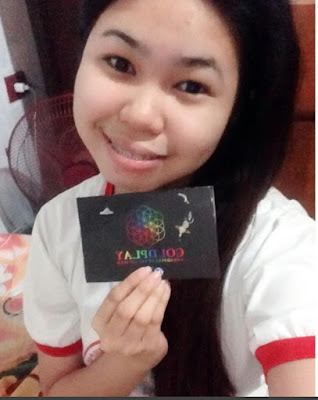 YOu really shared the experience of your Coldplay concert. You look like you had a super blast! Oh I love Coldplay too! I have been to see them live countless times and even met Chris Martin too. Best band ever by far! Sounds fun! I believe they went back here last year and held a really great concert again. Congrats. I'm happy for you. :) Mahusay yan. Oh, I'm jealous! I haven't been to a concert in such a long time. This looks amazing! So cool you got to see Coldplay! Coldplay is one of the best bands. Their music have touched millions of lives and continue to inspire people today, even the younger generations. Wow, this post is really awesome. Lyrics, photos & videos all are superb.I've never heard of Coldplay but this post make me learn something new. Hi Harish! try to listen their songs! I promise you will never regret for this! They are incredible! Chris Martin and his gang of delinquents, and you will know they are delinquents if you have ever watched them perform, are hands down, the best stadium performers of this generation. Thanks for such wonderful insights. This was one of the most unique posts I have read recently. We also love the live music concert. Hope you had great time. My husband is a fan of them too. He actually got me singing some of their songs in my head through continuously playing their songs, LSS as we call it. Looks like you had a lot of fun! I loved seeing all the photos you took! Lovely concert! I wish I was there. Looks like you had a great time I bet the concert was pretty epic too they put on a good show! Glad you were able to get your dream tickets and enjoy this adventure and create a cherished memory to care with you. I’m so glad you got to go. You put a lot of work into getting those tickets! I've never seen them live, but I've heard their shows are amazing. I like some of Coldplay's songs, but I'm not a huge fan. I have heard they are fun live, though! We are big Coldplay fans as well and their song Yellow is one of the favourites! Lucky you got to see them live! Looks like you had a lot of fun. Love Coldplay. My daughter likes their band. I dig Coldplay! So glad you had a great time! I totally love Cold Play because their music is so amazing. I hope to see them someday! Wow. Coldplay fan! Glad you had a wonderful experience :) I guess you still kept that ticket. I adore Cold Play but I have never been to any of their concerts. I hope to be opportuned some day. you're really an avid fan of coldplay. i love some of their songs too. oh my god ang swerte! i wanna see them live too :(( so happy for you! Even if the tickets were a bit over priced because of the scalping, it seems you had a good time anyway. And good to connect with other people while you were there as none of your friends came. Your passion for this guys is amazing. I'm glad you enjoyed yourself. Great way to meet new people through interest groups that enjoy the same music as you.